Barbara Lea: Remembering A Versatile Cabaret Singer Lea first had success in 1955, with her album A Woman in Love, and was rediscovered in the late 1970s. She died last week at 82. Fresh Air remembers Lea with excerpts from a 1991 interview and in-studio performance. The pop-jazz singer Barbara Lea. 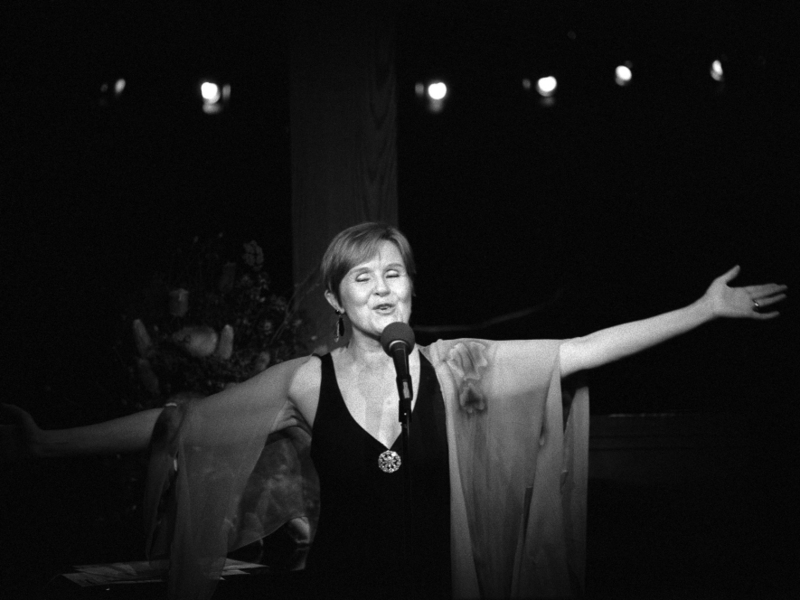 Barbara Lea was a singer known for her straightforward interpretations, precise diction and respect for the intentions of each song's composer and lyricist. She died Dec. 26 at 82, of complications from Alzheimer's disease. Lea got her start singing in clubs in the 1950s. Her first album, 1955's A Woman in Love, was named one of the finest recordings of the year. Though she dropped out of singing for a while, she made a comeback in New York's cabaret world in the 1970s. On today's Fresh Air, we remember Lea with excerpts from an interview and in-studio concert performance from June 7, 1991.